Use these home maintenance tips to get your home ready for spring. Spring is here, and it’s time to get your home ready for the occasion. It’s important that you stay up on your seasonal home maintenance so that you keep any home damages to a minimum. 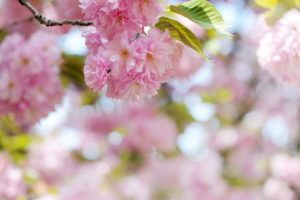 Check out what you need to know about how to get your home into the best shape this spring. Spring is the perfect time to check your heating and cooling system for any signs of damage. Inspect your ducts for any leaks or gaps and clean your air filters. It’s important that you get your home ready so that you’re prepared for the sweltering summer. After a winter full of storms, it’s important that you check your roof for any signs of damage. That way you can fix it before it becomes a problem. Have a professional come and take a look for any damaged shingles so that you can rest easy knowing that your roof is in great condition. To enjoy the spring weather, it’s not uncommon to open your windows. Ensure that your home is ready by inspecting your screens. That way you can make any necessary repairs so that your home stays bug-free. To keep your home safe from house fires, it’s important that your smoke detectors are up to date. Take the opportunity to change the batteries in your smoke detectors. That way you can rest easy knowing that you’re prepared for a house fire. When it comes to keeping your home as safe as possible, ensure that you stay up on your spring maintenance. Invest in the right homeowners insurance so that your home is as safe as can be. Contact the professionals at Robert J. Los Insurance Agency to find you the right insurance plan. Located in Hamburg, New York, we serve all your personal and commercial insurance needs.